Starting in December, Men are invited to join a new Bible discussion group with materials used by Freedom in Christ. Who Am I? The World's View of Truth; Learning to Forgive; and More. Please contact Loren Quist, Jim Winkel, or Pastor Adam to learn more. 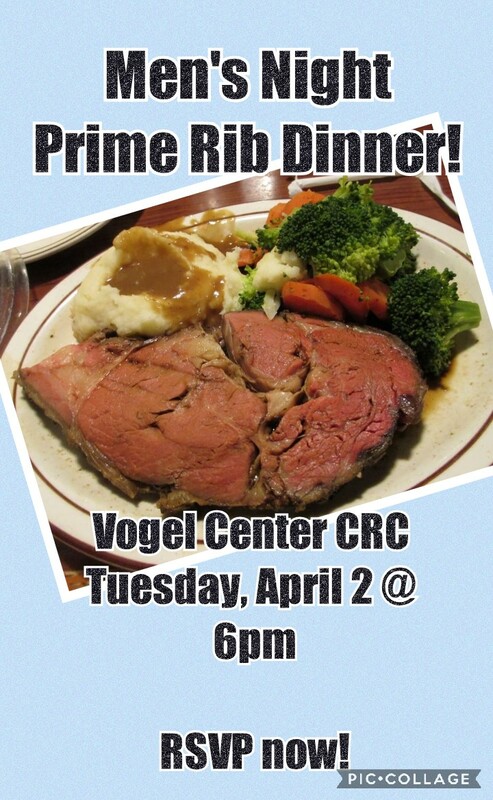 Join us on Tuesday, April 2 2019 for our second annual Prime Rib Dinner at 6:00pm! Pastor Brian Bosscher will be speaking about Peace. Worship and Praise will be lead by Justin Sluiter from Highland CRC. We will also have a special guest speaker and hear a testimony from one of our Journeymen members! Tickets are $10 per seat and seating is limited! Register online here, or call the office @ 231-825-2053 by March 27th. Dinner of Prime Rib, potato, and vegetable begins at 6pm.